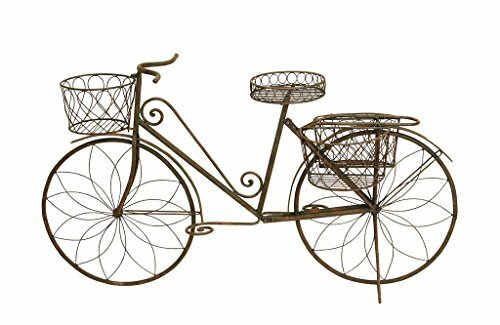 Display your plants in a unique way within your garden with this bicycle planter. This planter has baskets for displaying up to four pots. You can even place additional smaller pots on each pedal. Buy today and this item will be yours! measurements: 31H x 56W x 16d.